Motorized & Specialty | Commercial Draperies and Blinds LTD.
At Commercial Drapery and Blinds, we are committed to making it easy for you to be in total control of the lighting in your space. 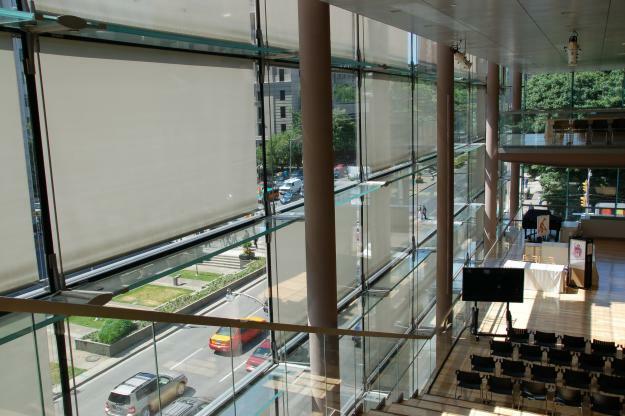 Many of the blinds, shades and even draperies we sell can be installed with a variety of motors and control systems. Whether you want to control a hard to get at blind or shade, or simply want the convenience of being able to open and close blinds and shades at the touch of a button. We also offer a wide range of window covering solutions on one that is just right for you.